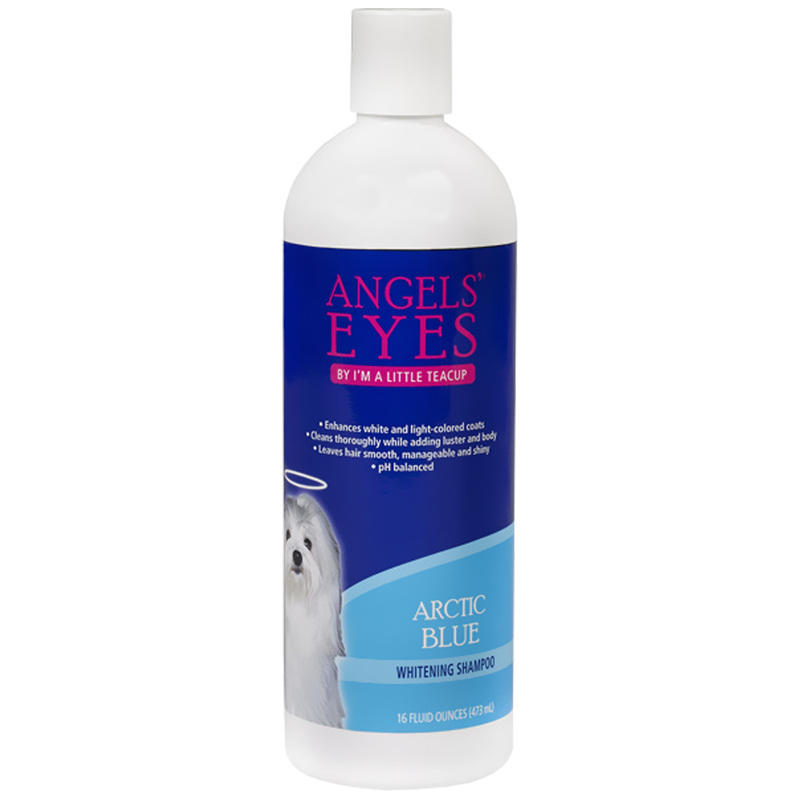 Angels' Eyes Arctic Blue Whitening Shampoo is the perfect shampoo for any pet with light-colored fur. This shampoo enhances the color of white and light-colored coats while restoring luster and body to fur. This formulation includes vitamins and minerals that work to brighten coats naturally and to leave hair smooth and manageable. Angels' Eyes Arctic Blue Whitening Shampoo controls matting, tangling, and shedding and is safe for kittens, cats, puppies, and dogs. This bottle comes with 16 fluid ounces of shampoo that is made here in the USA. Care for your pet's coat the right way and order Arctic Blue Whitening Shampoo today! Water, Sodium C14-16 Olelin Sulfonate, Cocamidopropyl Betaine, Disodium Cocoamphodiacetate, Glycol Stearate, Lauryl Glucoside, Sodium Lactate, Sodium Chloride, Fragrance, Tetrasodium EDTA, Hydrolyzed Oat Protein, Safflower Oil, Retinyl Palmitate (Vitamin A), Ascorbic Acid (Vitamin C), DL-alpha-Tocopherol (Vitamin E), Sodium Chloride, Fragrance, Tetrasodium EDTA, Methylchloroisothiazolinone, Methylisothiazolinone, Citric Acid, D&C Violet #2, FD&C Blue #1.